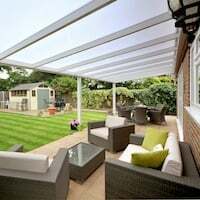 Category – Roofing Tips and Ideas. 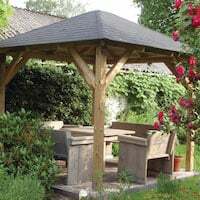 In this category you will find posts with advice and installation tips in regards to roofing for your garden buildings. Stuck on what path to go for your building’s roof? Here you will find our recommendations for what roofing product would be best suited for our various roof styles/shapes. Roof Shingles for Log Cabins – Watch out! For the past few months we have been offering our customers certain ranges of IKO shingles free with our log cabins and the offer has been very well received. It’s a genuine offer and accepted by loads of very pleased customers. Please see this page for the full offer and availability: Free Roofing Shingles. 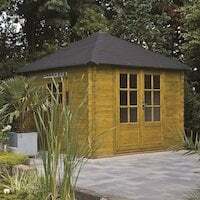 IKO Felt Shingles for use on log cabins and our garden buildings. These are the very best you can get in Europe and probably the world, IKO is known all over. This is their website: https://www.ikogroup.co.uk/ virtually everywhere you go you will see the IKO brand, for instance, have a look at the branding on the roofing membrane of new build houses before they put the tiles on. A good builder will always use IKO. Of course there are other shingles on the market, not just IKO and we’ve tried a lot of these ourselves but we still come back to IKO. We have independent fitters who you, the customer, deals with direct and you pay them direct. We pass these details on to you when you place an order with us as a free service. These are often the same fitters who are sub contracted by other companies. Sorry while I’m on the subject of fitting have you seen the costs! 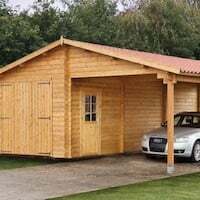 Looking at a 3m x 3m corner log cabin tonight from a company and they wanted over £2000!!! to fit it. Truly unbelievable. 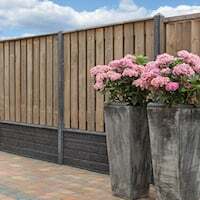 Speak to any fitter direct and they would normally charge you about £450 for a 3m x 3m. I’m digressing, sorry. Back to shingles. I suggest, when buying or receiving shingles with you log cabin you ask the following question. Could you please tell me if the shingles you are providing me are CE Marked? Our independent fitters install for several companies but they and I are good friends after many years together, and they whisper to me. Recently I was shown shingles they were asked to fit and …. oh my! Looking at them they were of a far lower quality than the ones we use and then we notice that there was no document of performance (DOP) with them and they are not approved in Europe,. At the moment to supply in Europe for construction they must be approved and CE marked. You will find these shingles have a far thinner base layer and top layer which makes the total shingle a LOT lighter. This causes easy cracking and absolutely no protection at all when felt nails are used and leaking around the nails will be far more common. I dare you to claim on the guarantee. So, please ask the question when you are buying shingles from your supplier either as a free option or bought. Are they CE marked and approved for use in Europe. It does make a HUGE difference to how long they will last. 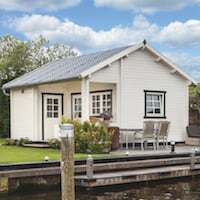 If you were one of my customers and you were buying a lovely new log cabin from me, especially one of our thicker wall log cabins such as 50mm upwards, I would be strongly urging you to insulate at the least the floor of your new log cabin. I would also try to nudge you to insulate the roof as well. The benefits are obvious for you. 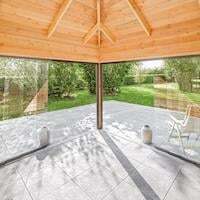 You’ve decided upon your building, you’ve weighed up the benefits of the thicker logs and of course the double glazing. But, a lot of heat is lost from the floor and it’s cold rising up and of course loads is lost through the roof. Ideally we want these areas insulated and to the same or similar as the wall thickness. Lots of retailers supply ‘insulation kits’ with their buildings, we don’t, but we could, we could make a bit of money out of it as well. But seeing as the cabins are costly enough as it is do you really want to add more cost if you can help it. So, instead of me supplying you a special insulation package and making some money from it I’ll tell you how to do it yourself and save money or better still spend the saving on better quality insulation. All the insulation I talk about is ordered through any builders merchant, most of which will deliver to you at the fraction of the cost of a retailers special ‘Insulation pack’. I like the Celotex brand of board, I’ve used several types over the years but get on best with this one. I know lots of other manufacturers do a similar product, some better and some worse, that part is up to you but I prefer a solid fibre board to work with as above. Of course there are lots of ways to accomplish an insulated roof and floor. Some fitters favour adding it underneath the roof and boarding it out thus keeping the insulation in. Some will put a frame on top of the roof and use rockwool and ply over the top. I have never used these methods as I can’t see the benefit other than perhaps a saving in the insulation material cost itself. 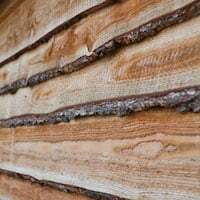 So, my rough and simple guide on how to insulate your roof and floor of your new log cabin. I build my log cabin as usual on the 44mm tanalised timber foundation beams we supply with every building and I’ve now completed the build. I’m left with the floor to put down and the roof covering to apply. If I’m using a floor pack I will set out my floor bearers as normal. I then cut up my insulation board which I’ve ordered from the local builders merchant at 50mm deep. This sits perfectly between and within the bearers, the joists support my build while the insulation boards supports it. If you want to be exact to the joists then use 40mm. Now I simply lay my floor boards as normal, happy that the floor is insulted. Another method is to not bother with the floor pack and to fill the inner area of the cabin with the insulation boards. 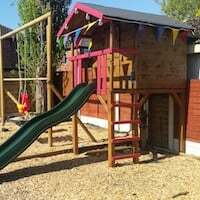 On top of that you use far cheaper OSB sheets or chipboard flooring, this is especially relevant if you are later putting down carpet as OSB is certainly cheaper than our nice T&G pine. Obviously you’ll need to work out how much board you need with a simple calculation of length x breadth to find the square meter and order the equivalent from your local builders merchant. The roof is a little trickier to do and takes a little more work. Before we start you need to decide what thickness of insulation board to use. 50mm, the same as the floor is very convenient and often used. You could also go up to 70mm to gain the same R value. 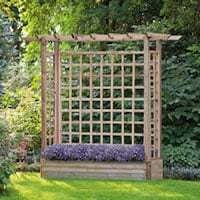 I have also used 100mm when specified by planners. Regardless the same principle applies. Work out how much you need by calculating one side of the roof area and times it by two. As well as the insulation boards you will also need to order longer clout nails. These need to be long enough to go through the final roof surface, insulation and into the roof timber boards. If you’re using 50mm insulation then order 65mm nails for the flats of the roof and 70mm clout nails for the ridges. You can also cover this portion later with additional timber but it is worth considering it at this point. 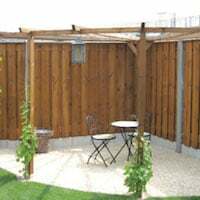 You may need to source locally the additional trim timber. Now lay one layer of insulation boards and fix into place using one clout nail in each corner and one in the center. You can then felt or shingle it up to that first board. Don’t be tempted to do the whole roof with the insulation as you will eventually have to get on the roof to tile or felt it and with the whole roof done it can be very slippery. Once a board is complete with tiles or felt move on to the next and carry on adding boards and tiles until you reach the top. The same principle also applied to hipped, octagonal and hexagonal roof. The only slight difference is that you will finish the corners of the ridges slightly differently where by you will cut them flush with the end of the roof boards. You will then cut a fillet to fill in the ‘v’ that naturally forms. One last tip, if you haven’t got a timber saw or a proper board saw, your wives bread knife works a treat for cutting the insulation boards! Ideas for finishing the leading edge of the roof. I’m sat here looking out, the rain is bucketing down. Not the best start to the New Year. From where I work I can see my old log cabin, it’s been up in the garden for over 15 years and still going strong. A little raggedy around the edges perhaps and could certainly do with a coat of treatment this year. I look to the roof and am still amazed by the tiles. We use, and have always done so the range from IKO. These are one of the leading manufacturers and after 15 years of installing these I have never had any problems. Even now, in excess of 15 years of use, covered in moss, algae, bird dropping and rubbish the tiles still keep off the rain, the cabin is as dry today as the first day I installed it. 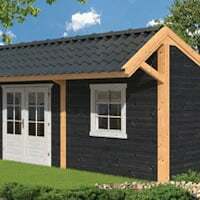 Needless to say we shall keep on supplying these felt roof shingle tiles with all our log cabins, gazebo’s and sheds. Of course, we also sell these separately and many pallets are delivered across the country to our customers. Moss covered roof after 15 years and still going strong on my log cabin. If you need to re-felt your roof, certainly consider these. If you’re buying a garden building this year ask whom the manufacturer is, if they’re IKO felt roof shingles you have a good roof covering. I’m not sure now whether to clear the moss and jet wash the roof or leave it now for another 15 years, surely they must leak at some point?